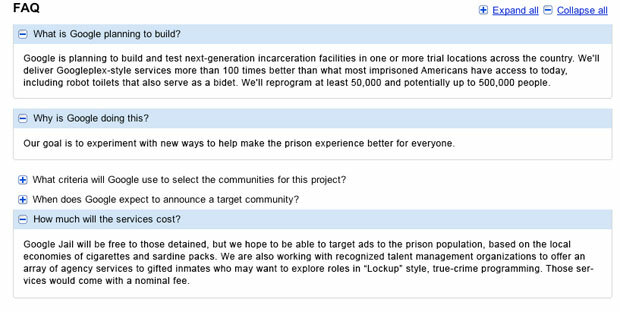 Exclusive: Google Goes to Jail for April Fools? 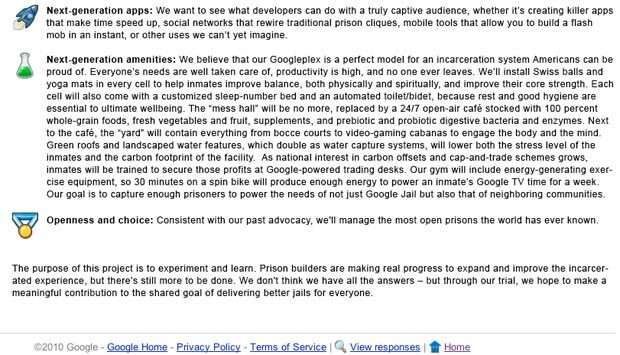 Sorry to spoil the fun, Googlers, but one of your own just sneaked us a peek at your April Fool’s Day prank: Google Jail. That or, um, Google is far more sinister (and naive) than we ever imagined … Nah! This all came to us from, let’s say, a trusted source connected to Google. 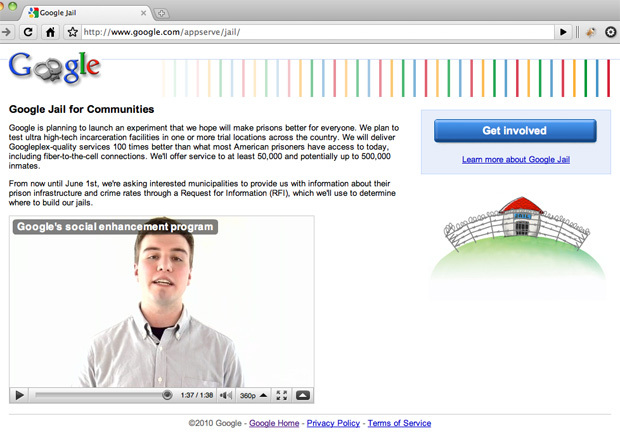 Perhaps most surprising is the sense of humor and amount of leeway to goof off apparently given to Googlers. (We figured the Eric Schmidt-Steve Jobs man date was the end of shenanigans). Still, there’s part of us that wonders whether this is any crazier than, say, Google investing in a genetic research company. 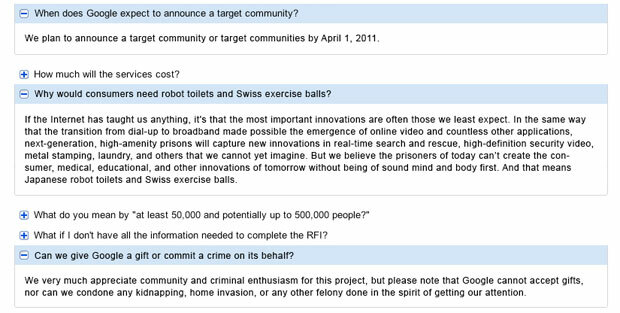 Why would prisoners need robot toilets and Swiss exercise balls? If the Internet has taught us anything, it’s that the most important innovations are often those we least expect. In the same way that the transition from dial-up to broadband made possible the emergence of online video and countless other applications, next-generation, high-amenity prisons will capture new innovations in real-time search and rescue, high-definition security video, metal stamping, laundry, and others that we cannot yet imagine. And, of course, there’s the Project Overview. Jesus, how much time do these people have to kill?